This bride and groom got married at Blue Ribbon Cooking School in Seattle, right on the shores of Lake Union. 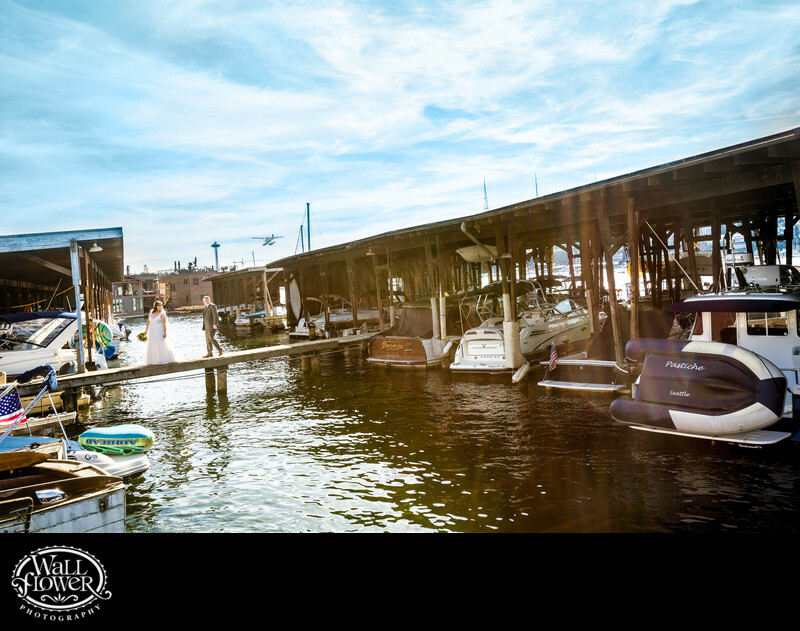 There's a private marina behind the venue, and we were able to shoot their wedding portraits on the docks and among the boats. Heading back to their venue, she turned to look at him just as a seaplane passed overhead.